A video of how a opposed piston engine with one crank. I am not going to write anything about this engine. 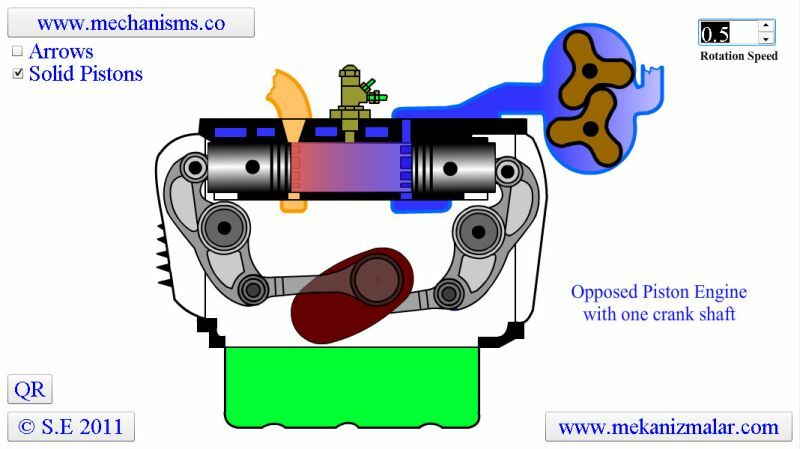 Here is an excellent web site that you can find information about opposed piston engines. I enjoyed it a LOT, and hope that you will like it too. LEGIT Comments will be displayed in 24 hours. (c) www.mekanizmalar.com. All rights reserved. www.mekanizmalar.com content, use of this animation or video is expressly prohibited without the prior written consent of www.mekanizmalar.com.